Get your group laughing out loud! Looking for a fun way to get your group laughing out loud? Then go ahead and give this classic toss game a try! A fun way to hone hand-eye coordination skills, this game features colorful graphics that are reminiscent of a favorite and wildly popular television game show. 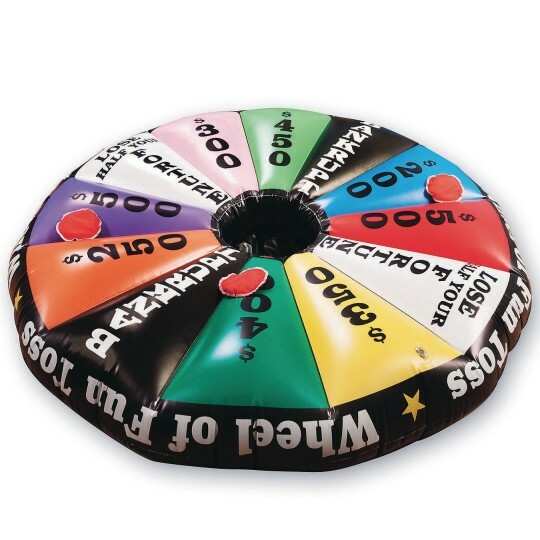 The perfect activity for any event, all you have to do is toss the beanbags and rack up the dollar amounts! 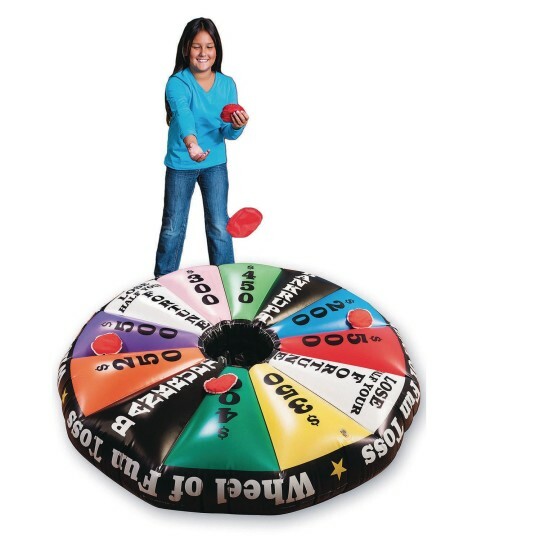 Includes the 50” inflatable target, 6 beanbags, instructions with game ideas, and a repair patch. Good Quality and Great Fun! 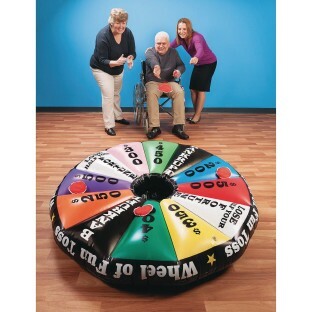 Used this with our senior residents. 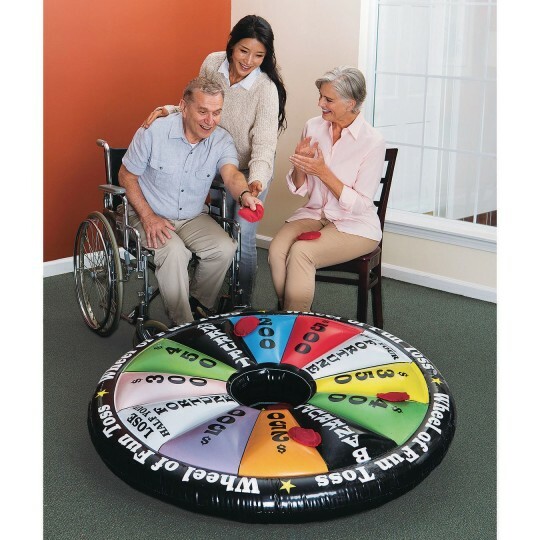 Many of them LOVE to watch wheel of fortune on TV which is fine but this game gets them up and moving and it's almost like they're part of the show! And adding up all the money gives their minds a workout as well! Good quality and great activity!